What is the Farmer's Market? The Farmer’s Market is a market place where you as a customer can buy food directly from the producer. The meat comes from own animals or animals in the vicinity, the berries are personally harvested and the breads are baked in own ovens. Because the producers sell you the products themselves, you can get all the information you wish about it. By doing this, you as a customer can receive a unique product with focus on origin, quality and taste. The producer is not necessarily a farmer, but it has to be a person who processes local raw foods on a small scale. The market places will be at traditional squares, in parks or in closed streets. Local food is yes food! 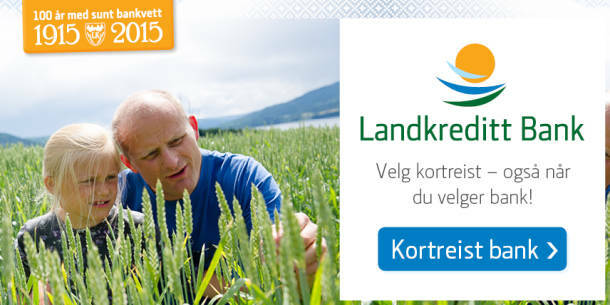 Through direct sale at the Farmer’s Market we hope that more farmers can strengthen their economy as well as giving Norwegian consumers more choices of old traditional foods and brand new products. By eliminating the intermediary, the farmer will earn a greater part of the value increase, and the consumer will get special products at a much lower price than if the foods had to go through all levels in the food industry chain. Much energy is today used to transport food halfway around the globe before the reaches the consumer. This is a strain on the environment, in addition to increasing the risk of spreading dangerous plant and animal diseases. By making local food accessible, the consumers will have a better chance to learn more about the food production itself. We at the Farmer’s Market emphasize openness and traceability. You have the right to know where and how your food is produced!